We Make the Best Vacuum Dies in the World. When it comes to rotary dies, General Metal Engraving is a cut above. For nearly 50 years we’ve set the standard in excellence. 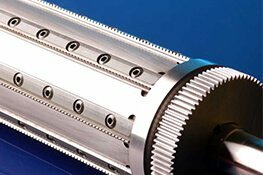 Custom design, to precision tooling, to production implementation, our full-service operation ensures that you'll run at maximum capacity. Founder Sarkis Kumjian is established as the leading guru in precision die manufacturing and engraving hardened steel. Over 25 years ago, he pioneered an engineering marvel: the vacuum die. Today his knowledge and skill permeate everything we do. Many die makers use second-rate materials and techniques. At GME we know that inferior dies reduce efficiency and durability. GME's precision die production improves your production. 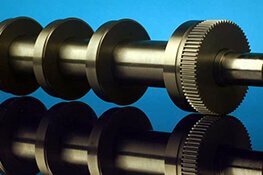 Our dies are so well made you won't have costly down time. By using high-grade steel, we far surpass shallower dies made of cheap, surface-hardened material. We offer a diversity of high quality products that can be customized to your individual production needs. 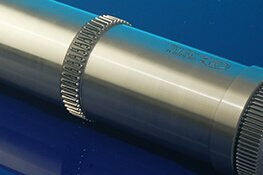 Our dies can be produced in various fully hardened steel, extended wear treatments and endurance grades. 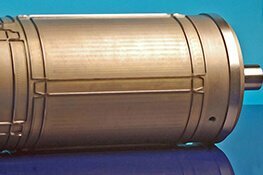 GME vacuum and air-eject dies work wonders, whether you're converting for the medical, automotive, apparel, airline, electronics, packaging or mass transit industries. 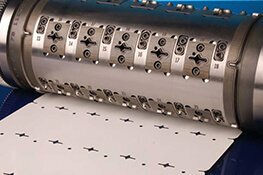 Wherever hole-punching is required, we can develop the right die for the right purpose. 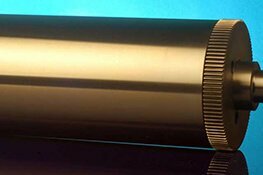 We are your one stop shop for rotary dies. And remember, if you need it now, GME doesn't tool around. Although GME supplies the rotary dies you use and need every day, whether it's a quick question, a competitive quote or a rapid response, we're on it!